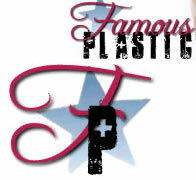 Famous Plastic blog is becoming one of the most popular celebrity plastic surgery blogs on the Internet. It is actually a well designed blog with a nice design. It reads like a celebrity gossip blog however it focuses primarily on the plastic surgery gossip. You’ll see tons of before and after galleries of very famous celebrities looking quite different sometimes better and sometimes worse over the years. The blog is categorized so you can see scoop organized either by the celebrity, or by the specific plastic surgery procedure you are interested in. This is a great read for the gossip inclined and the middle age woman who is snooping around into what the celebs are up to in order to look young. It also has a component of sensationalism that makes it a juicy read. The celebrities themselves however will absolutely hate the guts of this blog. My god it is so ruthless. Nobody would want their nip and tuck photos displayed here yet everyone wants to see the display. This gossip site is not for the faint hearted. If you are curious click the logo to visit.